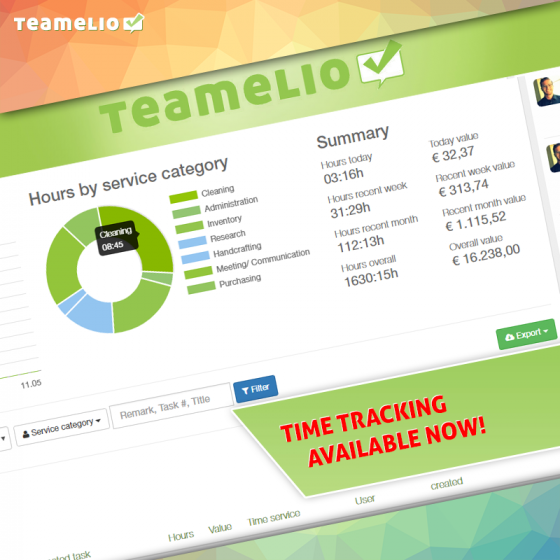 The Time Tracker in teamelio allows you to keep track of your spent time. You are able to create unlimited time logs individually or connect them to your tasks. You always have the overview of your daily, weekly or monthly time consumption in very slick PDF reports.